All things being accounted for, the Scriptures are understandable! It is in those terms that we attempted previously (Briefings, August 2009 and December 2009) to state the doctrine of perspicuity or clarity of the Scriptures as applied to Bible translation. In examining the Scriptures, one soon discovers many aspects that may render them difficult to be understood: linguistic complexities in the process of translating; particular twists of styles; antiquated literary genres; abbreviated language; unexplained historical and geographical inferences; differing cultural practices; unrevealed meaning of names, things, places, events, and concepts; and more. These difficulties can be compounded by the limitations of the reader who may be unsaved, or limited in knowledge of Biblical facts, or lacking in his investment of time and effort to the study of the Scriptures. 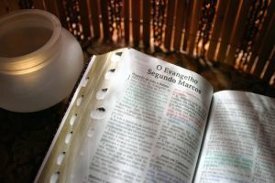 In light of those difficulties, the Roman Catholic Church has traditionally either forbidden or discouraged the laity from interpreting the Scriptures on their own. By contrast, adherents to the protestant tradition have emphasized the priesthood of believers and the understandability of the Scriptures. For us, studying the Scriptures and applying them to one’s own life are not only a privilege but, even more, a Biblical mandate. Consequently, we endeavor to make the Scriptures available to all: We translate them! Notwithstanding the difficulties of the Scriptures, the essential goal of Bible translation is understandability. The translator endeavors to pass on to the reader of the translation all the components of meaning that genuinely exist in the text from which the translation originates (that is, from the source text). Thus, the perspicuity or clarity of the Scriptures constitutes an impetus to Bible translating. Many factors define the sphere within which the translator may appropriately transfer the meaning of the source text while respecting both the proven difficulties and the inherent understandability of the Scriptures. They may be put in two categories: factors related to the source text and factors related to the translated text. The factors pertaining to each category are theological, exegetical, or linguistic in nature. Here are a few examples of theological factors that may be associated with the source text: (1) According to Hebrews 1:1-2 and Jude 3, God has primarily addressed His revelation to believers; (2) the priesthood of believers grants to the believer access to God’s revelation (1 Peter 2: 5, 9); (3) the belief in verbal plenary inspiration has led students and preachers of the Bible to a word-based approach; (4) the Scriptures declare their own difficulty (2 Peter 3:16) and the limitation of man (John 5:39); (5) God provides assistance in understanding the Scriptures (1 Cor. 2:14). Because of those theological factors, translating should be a process of preserving what God means and the way He said what He meant. A few exegetical factors associated with the source text may be stated as well: (1) historicity rather than mystic is the essence of Biblical texts; (2) ambiguity in the Scriptures is by design of the Author, not by error; (3) style and form of the text are purposeful rather than random; (4) all things being equal, all components are translatable. These factors, at the very least, promote accuracy and preclude casual innovation in translation. As for linguistic factors associated with the source text, we may include these few: (1) the Biblical authors respected grammatical, linguistic norms; the Bible is not written in a somewhat heavenly language; (2) the subject matter primarily decided the choice of vocabulary; (3) the degree of details in developing a subject entailed the degree of sophistication in the use of vocabulary. Hence, proper linguistics is very significant in Bible translating. Some important factors affect the translated text as well. A few theological ones may be these: (1) God communicated to be understood; (2) The essential theme developed in the Bible is that of redemption; (3) at the last judgment, each man will give account for himself on the basis of what God communicated (Romans 14:2). On those accounts, translations must be clear and not abstruse. Exegetical factors pertain to the translated text also: (1) The language of the Scriptures is in its greater percentage lay-people language; (2) in general, Biblical authors did not expect their readers to know languages other than the one in which they wrote; they even translated terms like “Abba” after writing them, meaning “father”; (3) a strict, literal translation may violate the intended meaning of the author. Because of those factors, translations cannot be word-for-word but modified-literal. A few linguistic factors that relate to the translated text may be these: (1) Each language has its own linguistic characteristics; for example, Greek is different from English, which is different from German, which is different from Swahili; (2) for a translation to be understood by the reader, the form of the receptor language has priority over the form of the original language. On the basis of these factors, translation is a literary process. Put together, all those factors compel the translator to produce a translation that is both slavishly respectful of the original text and clearly understandable in the receptor language. Producing or promoting a translation that does otherwise would violate the doctrine of perspicuity of Scripture. P. Hantz Bernard is the director of Bibles International. Led to Christ through at 15 by Baptist Mid-Missions missionaries, Dr. Bernard soon showed evidence of leadership gifts. At Bob Jones University, he earned not only his room, board, and personal expenses, but also a BA in Pastoral Studies and Publishing, and two graduate degrees in theology, Biblical languages, and linguistics. In 2005, Dr. Bernard was awarded an honorary Doctorate of Divinity degree from BJU. Bernard and his co-workers have produced a trustworthy Creole NT, and the OT translation is underway. Prior to being named as director, Hantz served as a pastor, seminary instructor, and translation consultant. VPI ... VPT ... VPP? I'm hopeful that the way this statement is worded is so that it does not represent Dr. Bernard's personal position: "(3) the belief in verbal plenary inspiration has led students and preachers of the Bible to a word-based approach." 1. It's unattainable, straight off the bat. Because of the nature of human language and human languages--the obvious fact that they don't map to any meaningful degree over one another was mentioned again--translators will be in violation of verbal plenary whatever from the very first sentence--perhaps even the first word! So the statement doesn't square with reality, whether or not a text is particularly sacred. Unfortunately, some of these pious statements were formulated by well-meaning Bible believers who have limited knowledge of a second language but who spend their time glossing a dead language text thinking they're really "translating." 2. The Bible never teaches this, whether in word or in deed. There are no precepts that demand a word-based approach. If there were, it might be interesting to see if the precept itself followed its own advice. Ezra "gave the sense"; it was meaning-based. The Apostles didn't adopt a word-based approach, judging by their numerous quotations in Greek of the OT, although occasionally they might argue for "seed" vs "seeds." Go take a look! Check out the _words_ one by one, the sign of the definite direct object, the jots and the tittles, the word order, a finger in the Hebrew OT and a finger in the Greek NT. The Greek might have come from the LXX or somewhere else--possibly translated on the fly from the Hebrew at times--but rarely do we see word correspondence. 3. The history of Bible translation argues against a word-based approach. Ironically in light of more recent developments in our circles, it's Luther and the Authorized Version's translators that offer some of the most vigorous advocacy for a meaning-based, idiomatic approach. Who could ever forget those ripe rebuttals prefaced by "God forbid"? Or, if imitation is the highest form of flattery, the Book of Mormon's attempt to copy the KJV's phrase "And it came to pass," for just one Hebrew word. Inspiration guarantees the form and message of the original -- this is not the issue being questioned. But if that inspired message is to be faithfully transmitted to others in their own language, it will be in the appropriate forms of that language, not those of Greek, or English, or some other language.